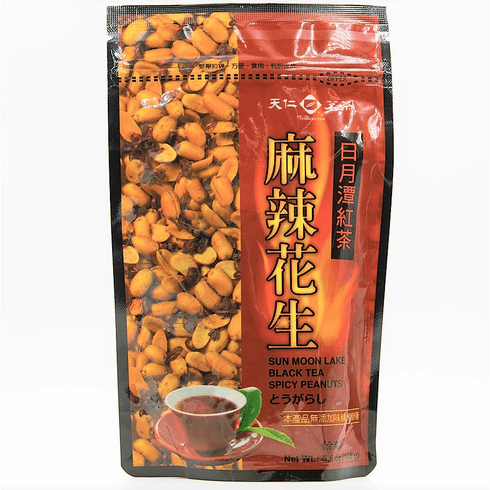 Ten Ren's Sun Moon Lake Black Tea Spicy Peanuts are delicious snacks with a nice crunch and not too spicy flavor suitable for any occasion. It delivers quite a zing to one's taste buds as it is blended with Sichuan peppers and black tea. These spicy peanuts do not contain MSG and safe for vegetarians as well. Each bag comes in a resealable zipper package. Net weight of each bag is 5.6 ounces (160 g). Shipping weight is 0.42 lb.